Large, unsightly pores affect both men and women. They can make skin look uneven, dull and generally unattractive. Enlarged pores are typically a result of a buildup of oil and dead skin cells in the pores. The oil and skin cells bind together and harden, causing the pore to stretch and expand. Home remedies, like witch hazel and egg whites, work to remove the oil in the pores and allow the pores to shrink back down to their original size. 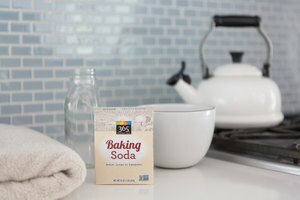 These home remedies only guarantee permanent results if they are used regularly. Witch hazel is a natural and powerful astringent that is very helpful in the fight against acne. It helps control oil production and reduce pore size. It also soothes redness and inflammation. Witch hazel extract has been approved by the FDA for use in skin-care products used to treat blemishes and blackheads. In order to work properly to permanently shrink pores, witch hazel must be applied to the face at least once a day. If excessive dryness occurs, it might be necessary to cut use back to once every other day. Remember that this is based mainly on anecdotal evidence. It might not work on everyone. To use witch hazel, pour a few drops onto a cotton pad and apply all over clean skin, focusing on areas with enlarged pores. Do not rinse or wash your face. If your skin is prone to dryness, apply a light layer of oil-free moisturizer afterward. Avoid using witch hazel near the eyes or mucous membranes. Another popular home remedy to permanently shrink large pores involves using egg whites and lemon juice. Based on anecdotal evidence, egg whites, when combined with the citric acid in lemon juice, tighten the skin, causing pores to become smaller. 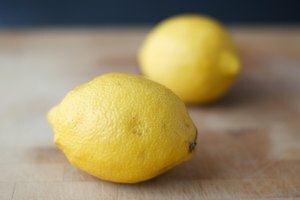 The acid from the lemon also exfoliates the skin, helping to unclog pores. There are no conclusive clinical studies to vouch for the efficacy of this treatment. To use this on the skin, separate egg whites from yolk and place in a small mixing bowl. Add 2 to 3 drops of lemon juice and stir to mix. Apply the paste onto your skin, particularly on the problem areas with the largest pores. Leave on your face for about 10 to 15 minutes, then rinse off with cool water. Cool water helps to shrink pores slightly. Try to use this paste once every few days for best results. If you discontinue use, your pores might become enlarged again.